PORT JERVIS—Port Jervis officials announced March 30 that the City has received several housing grants totaling $895,000. The grants will go to single-family, homeowner-occupied houses for improvements to things like roofs, windows, energy efficiency upgrades, and electrical, plumbing, and heating systems. Two of the grants, one from the Affordable Housing Corporation (AHC) for $350,000 and one from the Port Jervis Community development Agency (PJCDA) for $165,000 were already announced last summer. The additional $380,000 comes from an award the Regional Economic Community Action Program, Inc. (RECAP) won from the New York State HOME program. RECAP has several programs in Port Jervis, including a Head Start program and a residence for low-income residents on Ball Street. On March 11, the State announced $17 million in awards for affordable housing across the state. Of all the non-profits and municipalities that were awarded, RECAP was the only one in Orange County, and it applied for the grant with Port Jervis in mind. Over 84 percent of the city’s housing stock, or 3,277 homes are over 37 years old. In addition to the grant money from the HOME program, Quinn said there are other RECAP programs that applicants can tap into. “Our Weatherization Assistance Program, our Access to Home Program, our RESTORE Program [Residential Emergency Services to Offer Repairs to the Elderly]—we’re going to be looking at all the pots of money available and doing as much good in any one building as we possibly can,” he said. For the AHC grant, individuals with up to 112 percent of national median income for the county may apply, while for the HOME grant it is 80 percent. 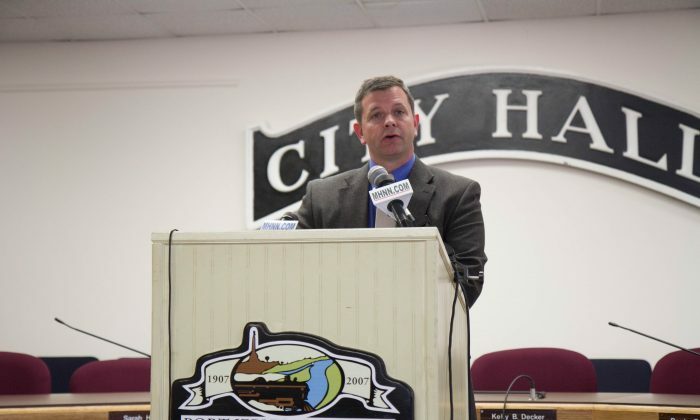 “Where a lot of people think this would only be focusing on low-income, it will actually cover more of your middle income,” Mayor Kelly Decker said. The exact requirements have yet to worked out, but they still have some time as the application process is not yet open.